I worried a little about bringing this. Too predictable, too recent. But in the two months since I finally got my copy, I’ve been completely hooked, entranced, unable to shake these songs from my head. One thing DRC does well is exorcism. 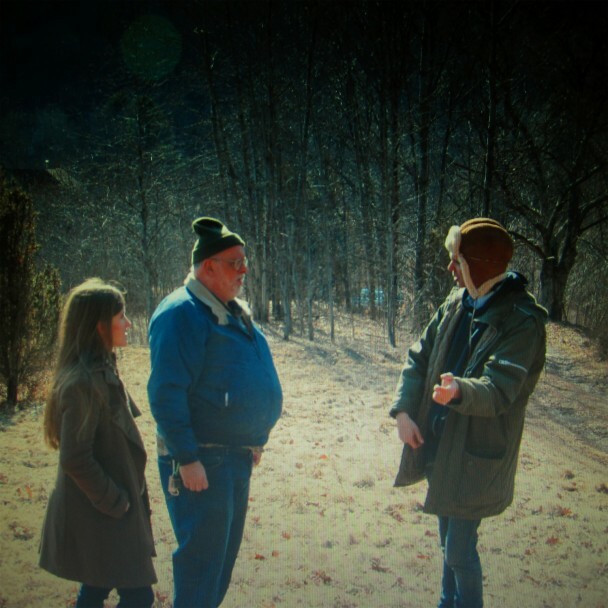 Dirty Projectors are Dave Longstreth’s band, from Brooklyn, NY, and this is their seventh album, released in 2012. Seemingly revered and reviled in equal measures for their near cubist approach to songwriting and brains-before-brawn reputation, I think they’re one of the great outfits of the last decade, genuinely challenging the form whilst never losing contact with harmony, soul and electric force. ‘Swing Lo Magellan’ may be their best yet. All Dirty Projectors records take a while to process, but this time around the problem for me wasn’t complex time signatures or abstract guitar work. Instead I found the first four tracks so irresistible that I couldn’t stop myself rewinding them. Eventually I had to force myself to begin the record at track 5 to snap out of it. Turns out the rest is almost as good, but these four are as fine an opening quartet as I can remember. Appreciated as a whole the album reveals itself as a thematic journey. The first three tracks are attempts to dissect various flavours of existentialist terror, followed by the title track, a beautiful lilting pop song about getting out, getting on and exploring the world. This moves us into songs about there being people out there worth striving for, then to love, being thankful about what you have and finally how music can make life worth living. Musically it’s just fabulous. Complex, but in a simple way, consisting of just guitars, bass, voices, drums and occasional other flourishes. There are some terrific details: bouncing percussion, electric and acoustic guitars switching in and out, a cannily played handful of uncanny noises, but these are never foregrounded. And whilst Amber Coffman and Haley Dekle are as vocally virtuoso as ever, their voices are always in service of the songs. Amidst all these, the songs are ultimately held together by perhaps the least technically proficient instrument: Dave Longstreth’s voice. He gives a great performance, lashing his most accomplished lyrics yet to his most immediate, careening melodies. It must take incredible hard work and precision to be as composed and yet as wild as Dirty Projectors, and it’s becoming clear how much they are now in control of their powers. The savagery of ‘Offspring Are Blank’ is mercilessly shepherded. ‘Gun Has No Trigger’ is a triumphant composition, setting itself constraints of melody and form and then showing that within these anything is yet possible. Anyone can be experimental with voice, guitars and drums, but to bring forth new ways of making rock music and use them to produce songs anyone could sing along to is quite some achievement. Above all ‘Swing Lo Magellan’ is a heady record full of sweet music, from the honey dripping ‘Impregnable Question’ to the jubilant campfire romp ‘Render Unto Caesar’. Whatever else they are, boffins, aesthetes, oddballs, on this evidence, Dirty Projectors are also a hell of a lot of fun to be around.